Add this to your cart with any order in my shop to upgrade the standard first class mail shipping to priority shipping. 1 to 3 day delivery. 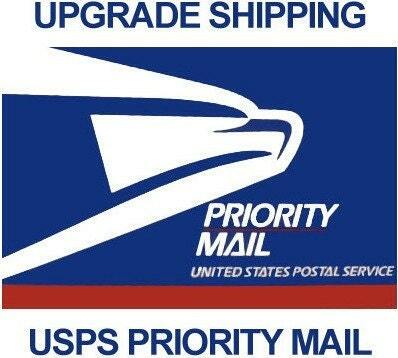 This upgrade is for Continental U.S. orders only. The listing price applies to any order in our shop, and is in addition to the regular postage and handling fees connected with your order. Tracking information and delivery confirmation included. Super fast shipping loves the rings!